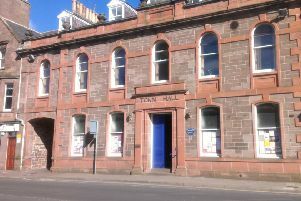 Pupils at a Stonehaven school have made a busy start to the new term. Youngsters at Mill O’ Forest Primary have been celebrating the life and works of Robert Burns. P1-7 pupils have been learning poetry, not only from the Bard but also from more contemporary Scottish poets so that Scots culture, both old and new, can be enjoyed and cherished. A representative from Stonehaven Fatherland Burns Club judged the finalists in the poetry competition and the school enjoyed an assembly brimming over with Scottish culture last Friday. As well as the tradition of the competition winners treating fellow pupils to recitations of their poems, other children gave a display of Highland dancing and the P6 classes provided an entertaining Showcase on Scotland. 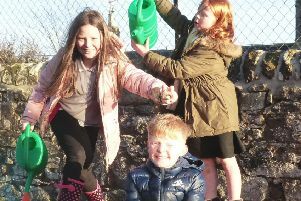 The school’s Global Gang will continue their work on the environment and reaching out to the wider community with their new project “Oor Wullie’s Bucket Trail”, part of a Scotland-wide fundraiser. During the summer months, art sculptures will be located in Aberdeen, Dundee, Edinburgh, Glasgow and Inverness and will eventually be auctioned off with all funds going towards supporting Scotland’s children’s hospitals. The Mill O’ Forest team has secured an Oor Wullie mini sculpture which the pupils are to decorate and will contribute to part of a public art trail within the local community. Meanwhile, the school Christmas Fair, organised by the PTA, raised an impressive £2056.04.